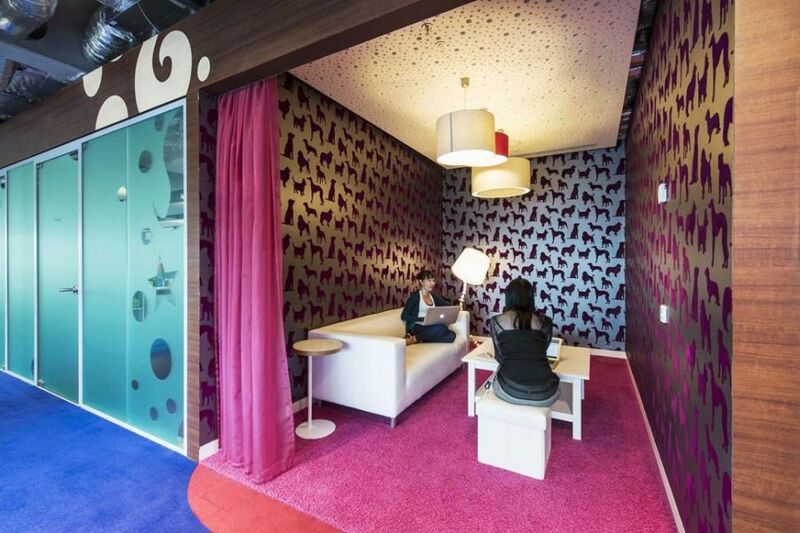 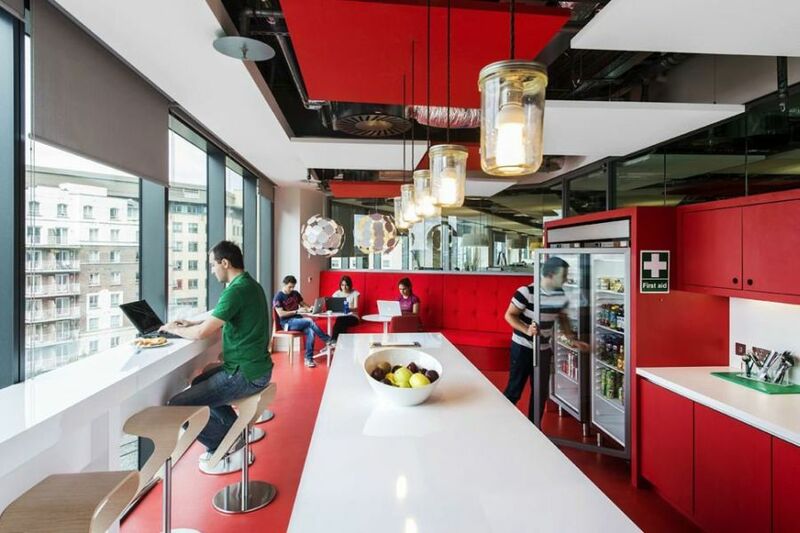 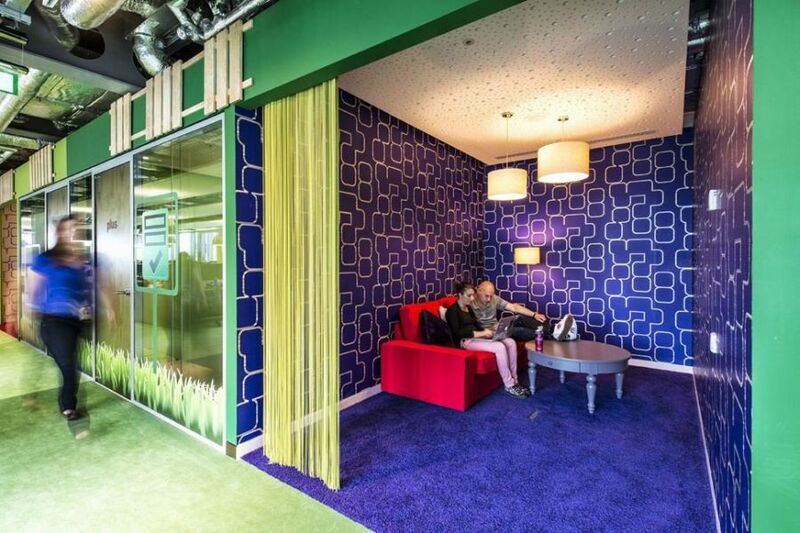 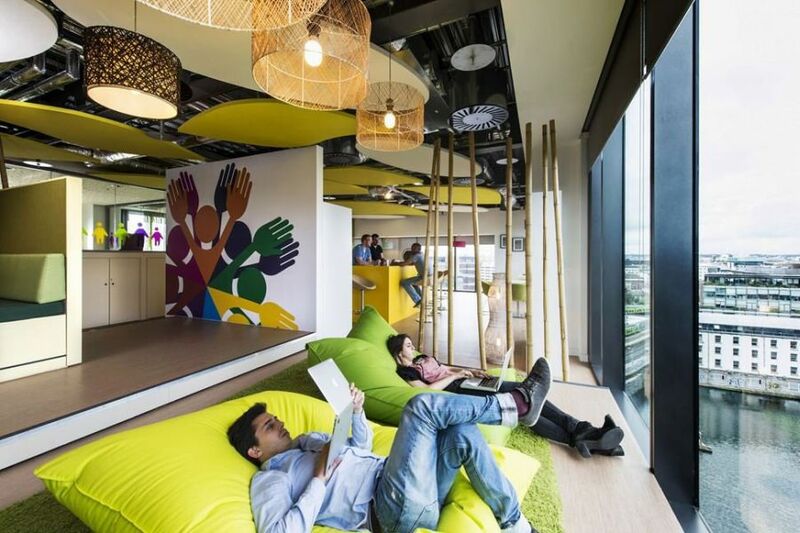 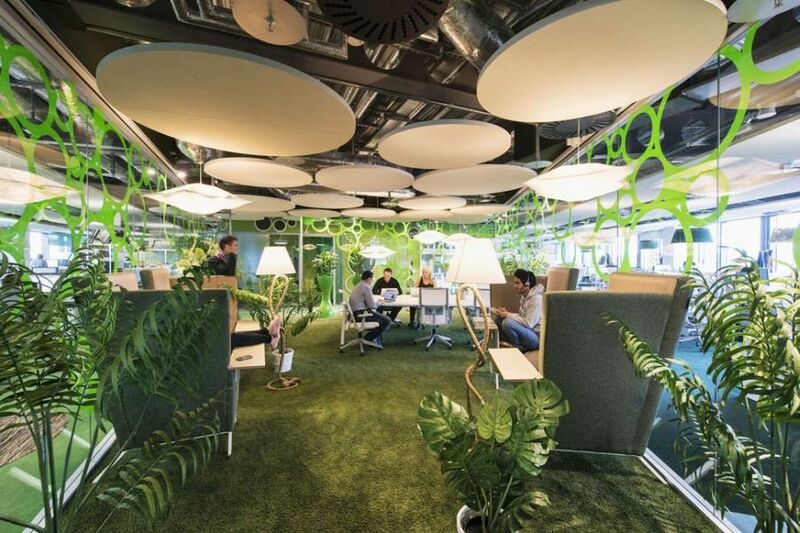 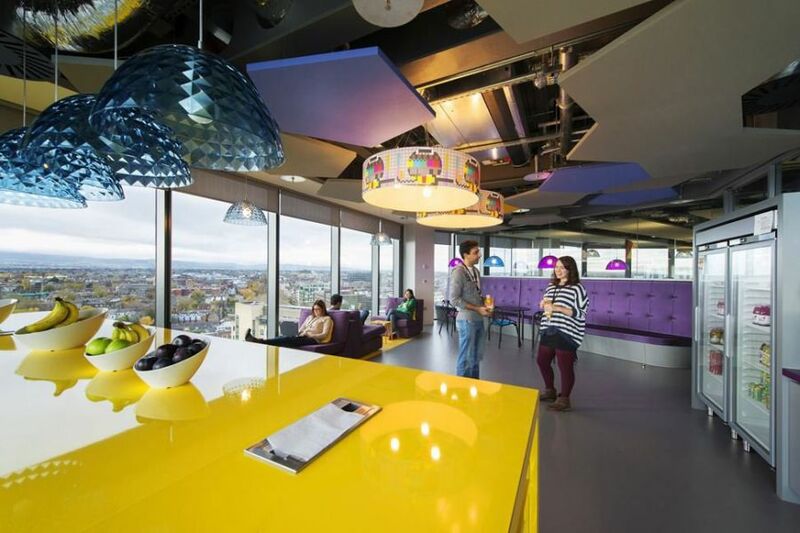 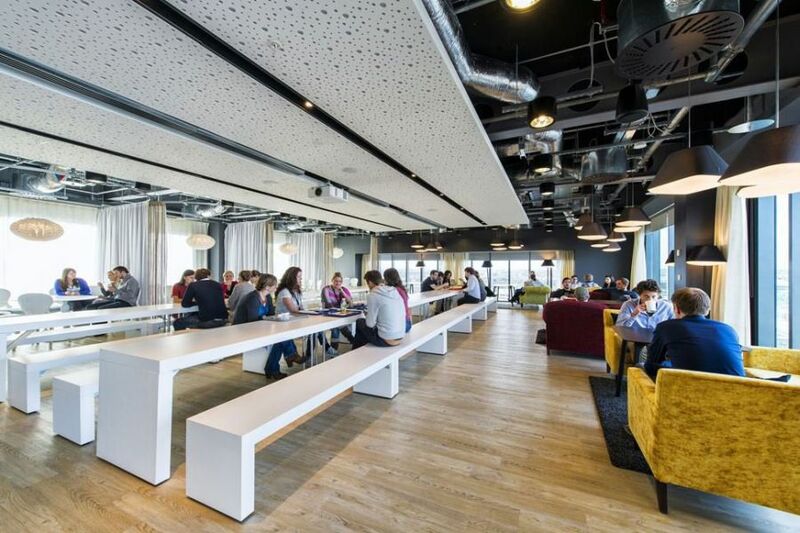 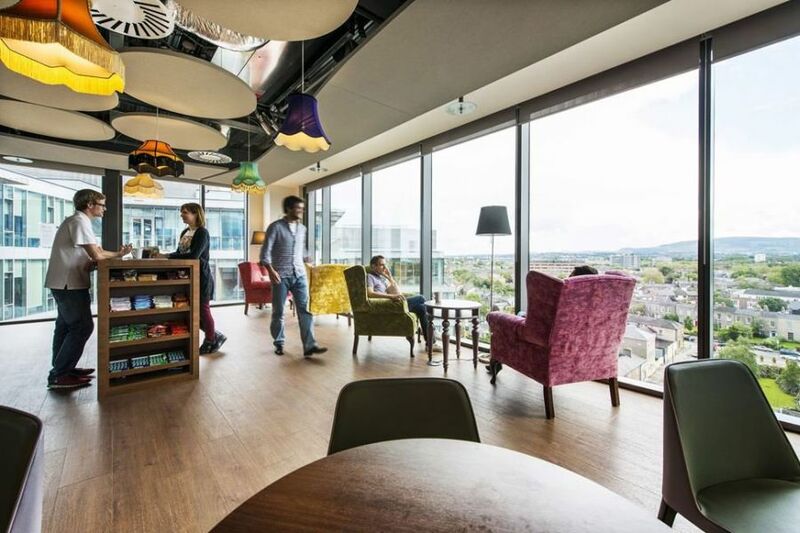 Designed in a vivid and vibrant manner, the Google Campus in Dublin, Ireland, charms you with its ingenuity and rich interiors. 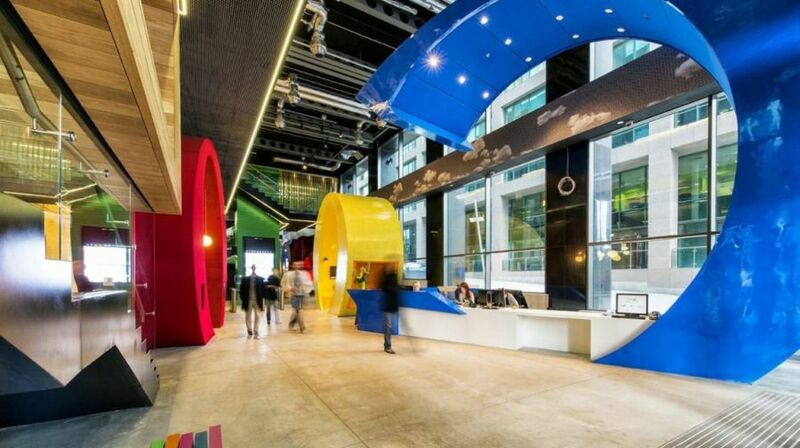 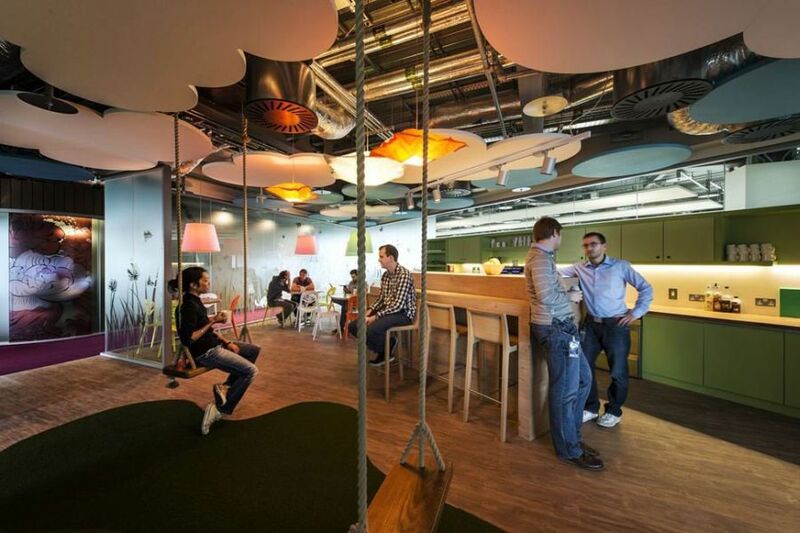 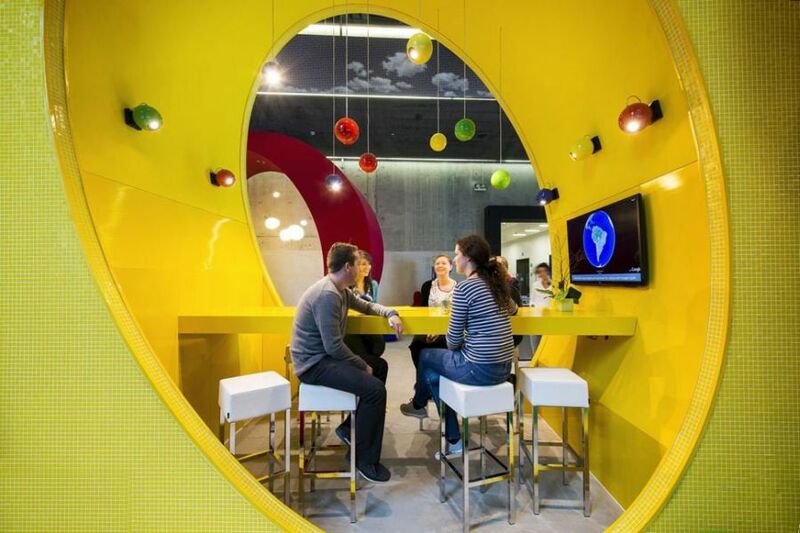 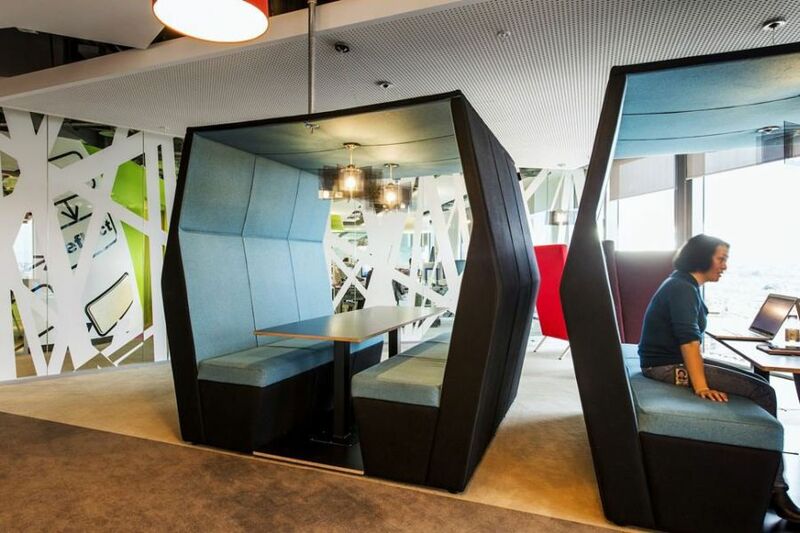 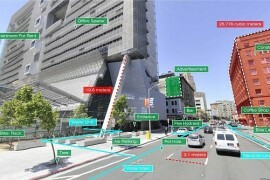 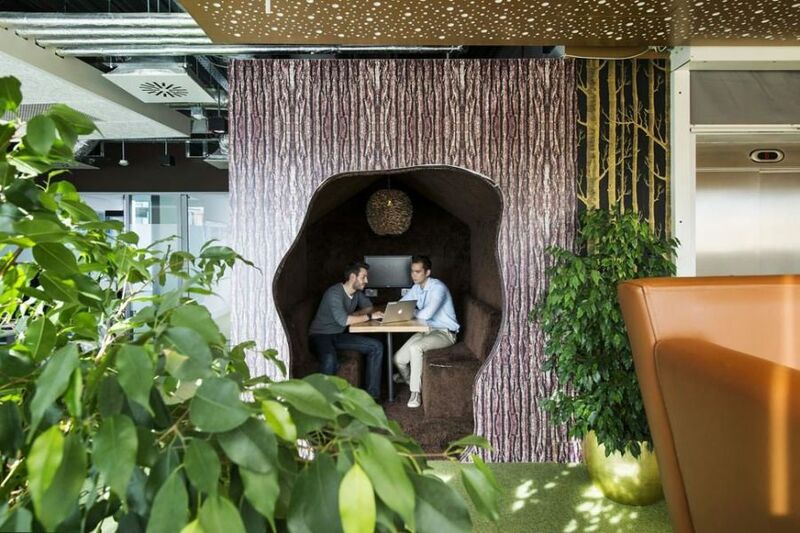 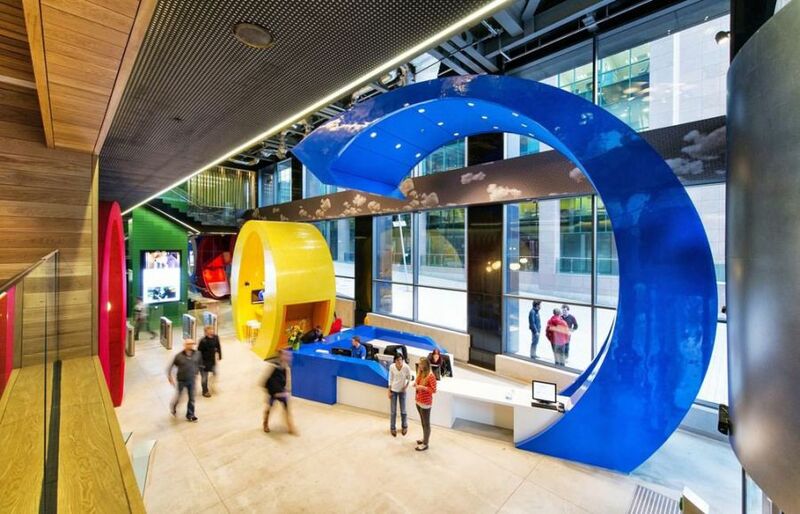 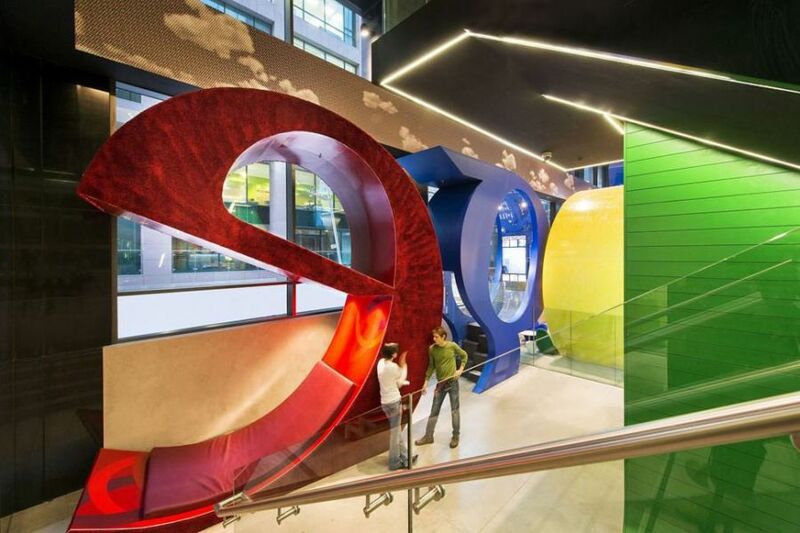 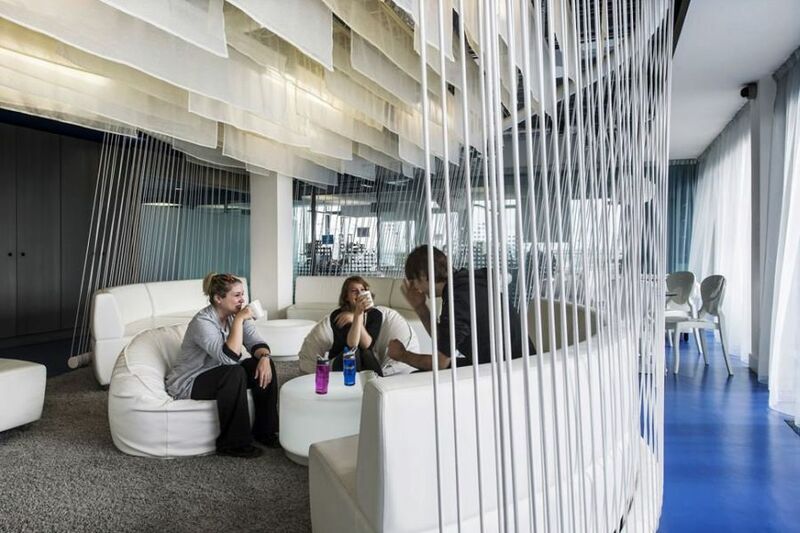 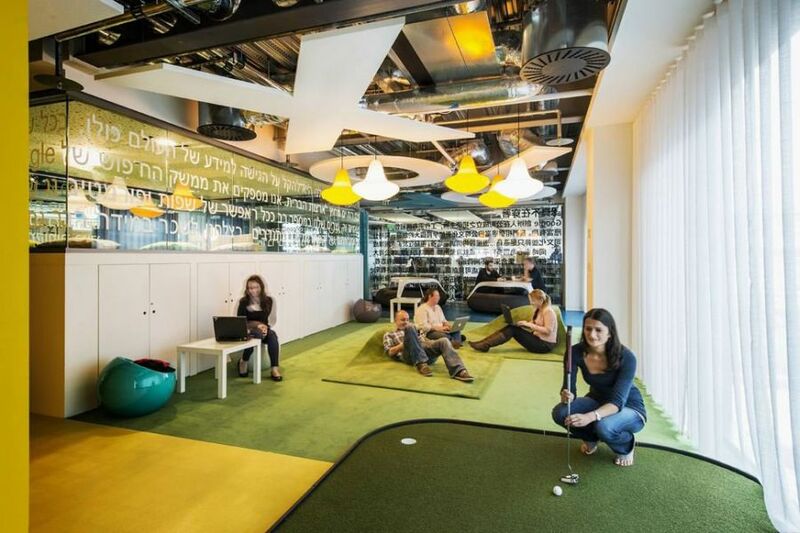 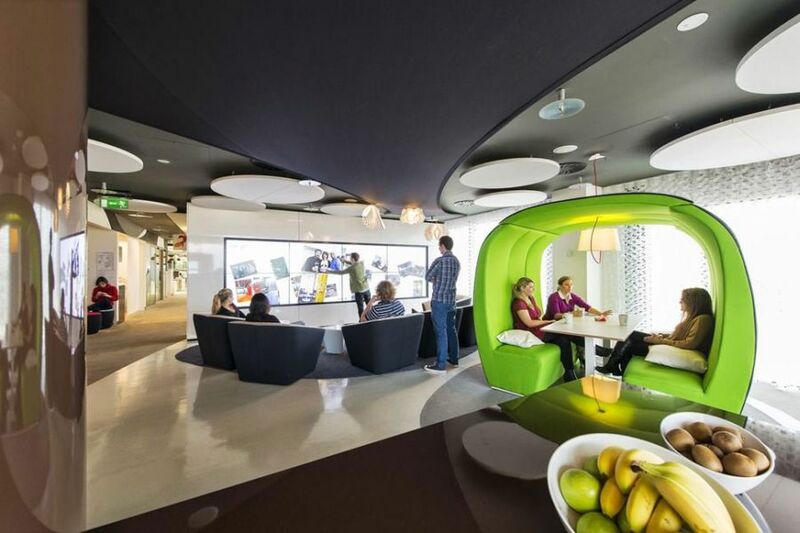 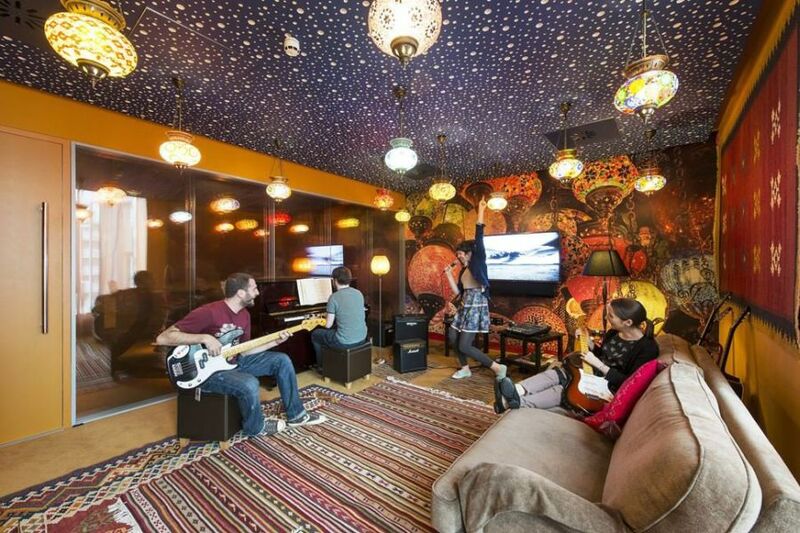 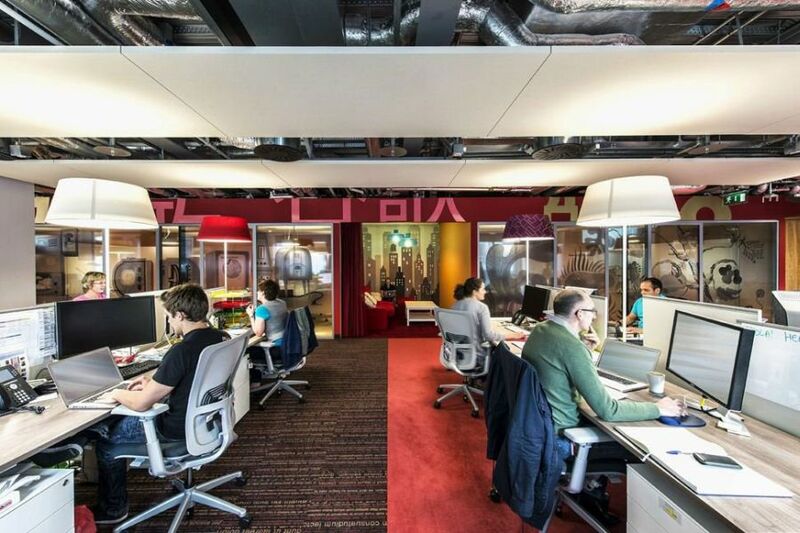 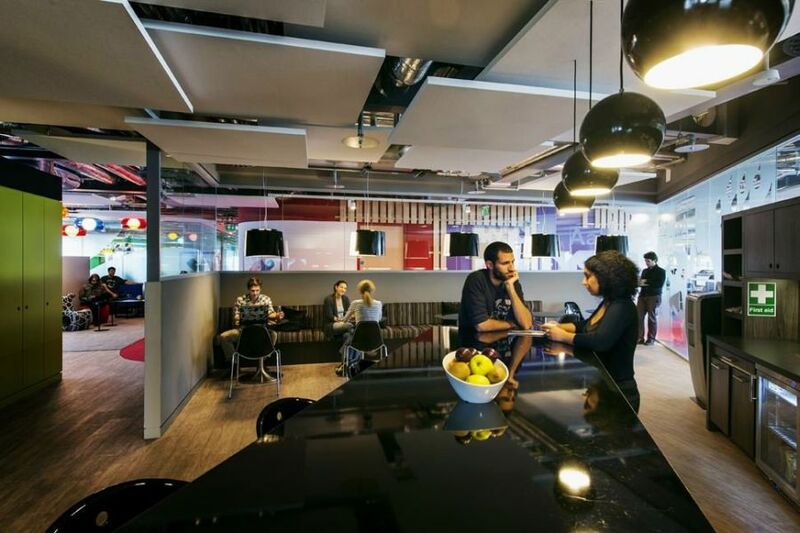 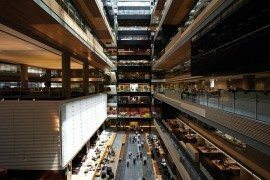 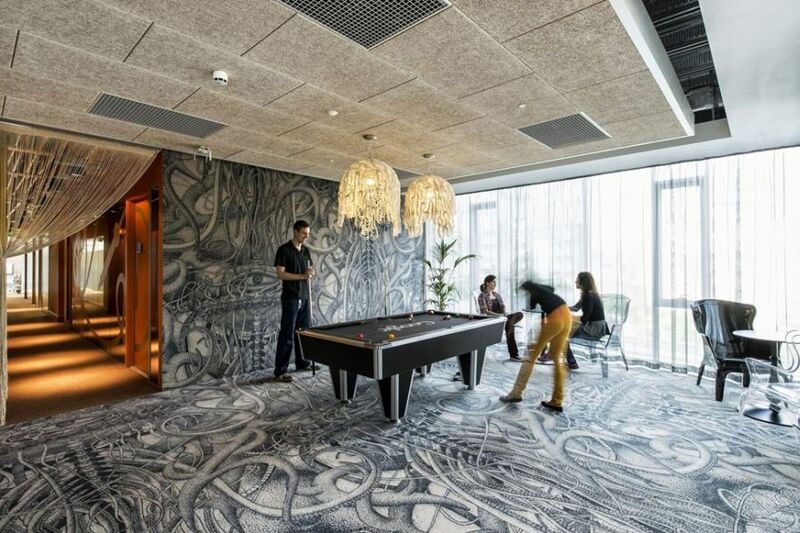 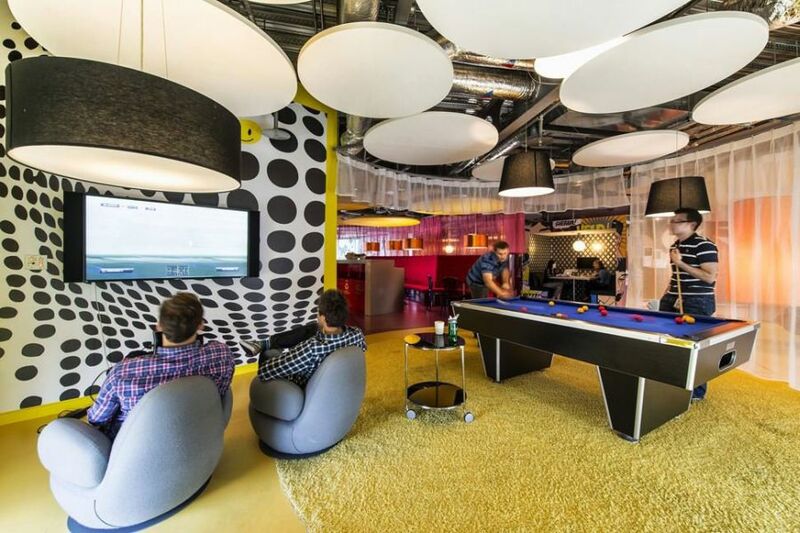 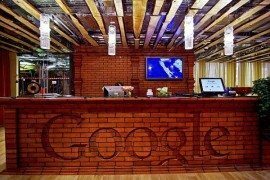 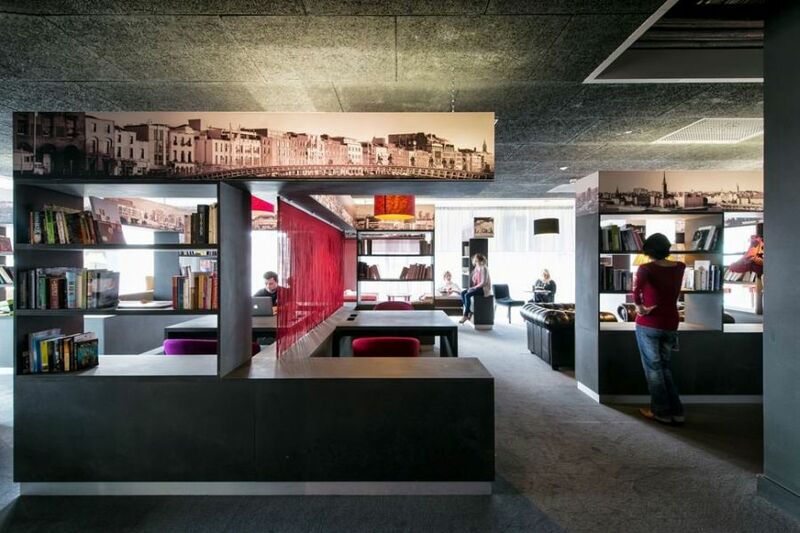 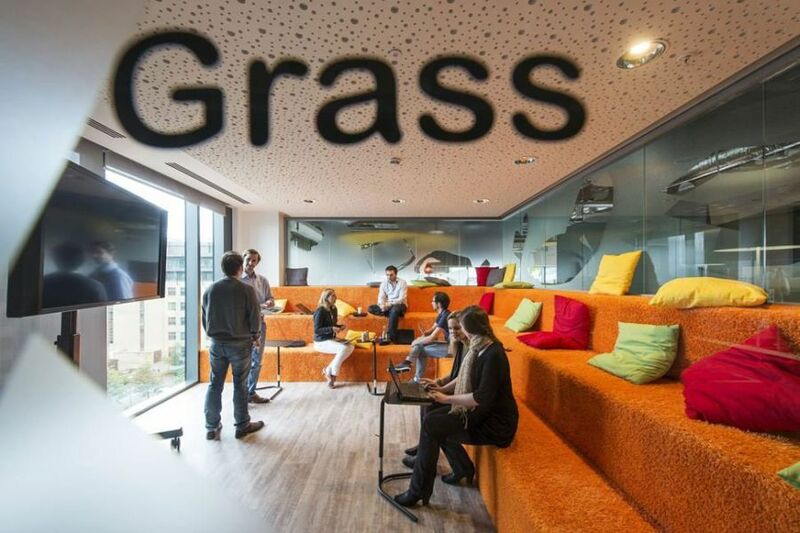 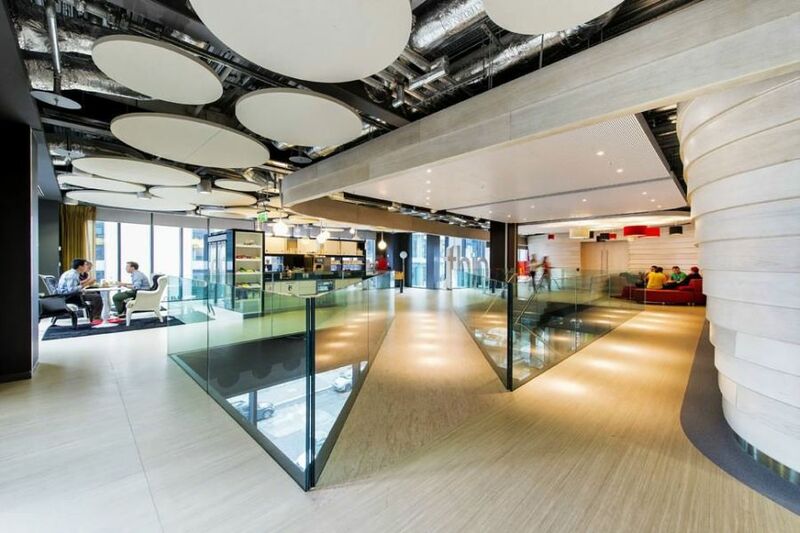 Google office spaces have been redefining how corporate houses and work places are crafted across the globe. 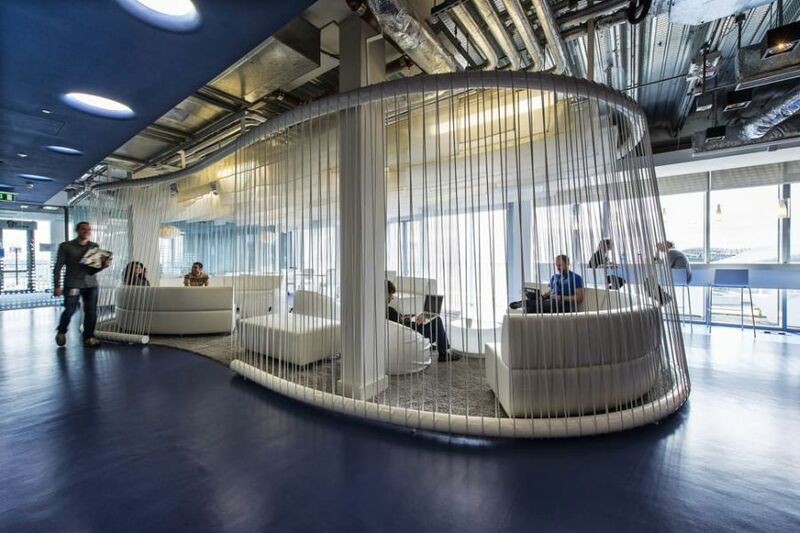 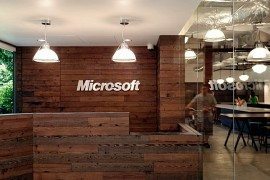 Conjured up and bright to life by Camenzind Evolution, the new office is all about an interactive environment that encourages free exchange of thoughts and ideas. 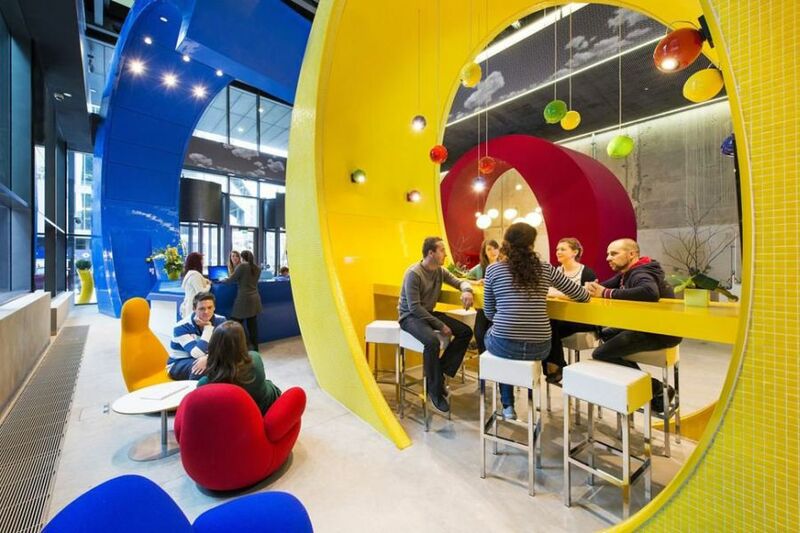 Spread across four buildings that cover over 47,000 square meters, this Google Campus inspires us to look at modern offices in a whole new manner. 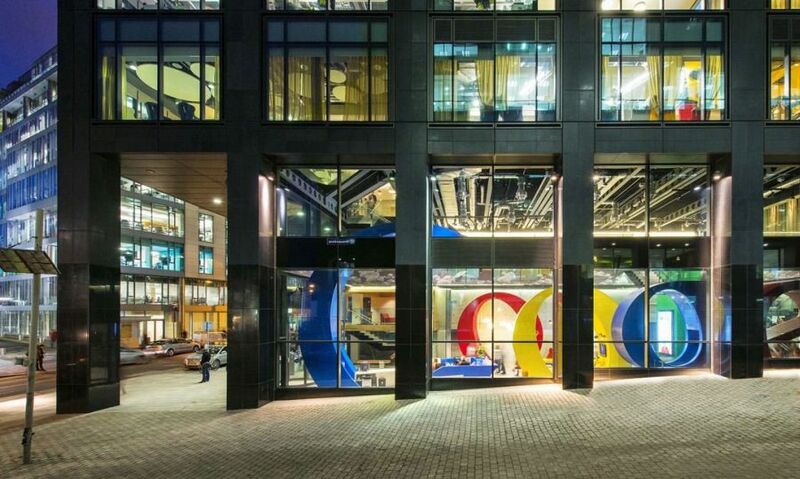 Designed to fulfill the role as Google EU Headquarters, the quartet of structures consists of a 14-storey tall ‘Google Docks’ building along with the Gasworks House, Garden House and 1GC. 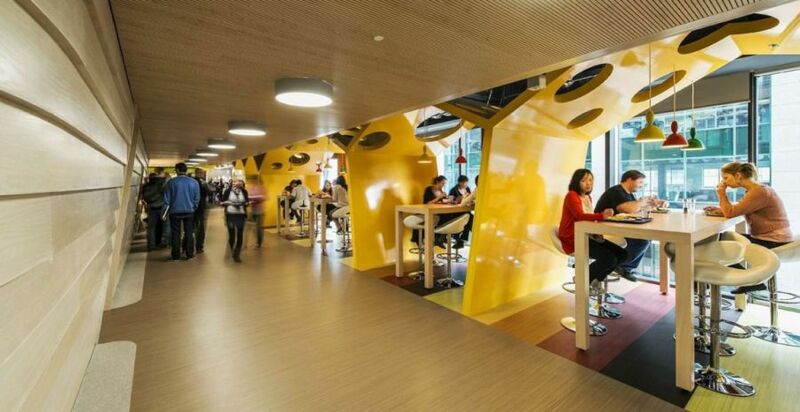 The campus though is much more than a mere work area and coming here each day morning to get the job done must be both an enticing and exciting affair! 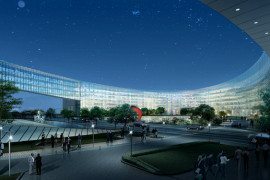 Incorporating 5 restaurants, 42 micro kitchens, game rooms, fitness centers, 400 informal and formal meeting centers along with a multitude of features, it truly is a delightful marvel. 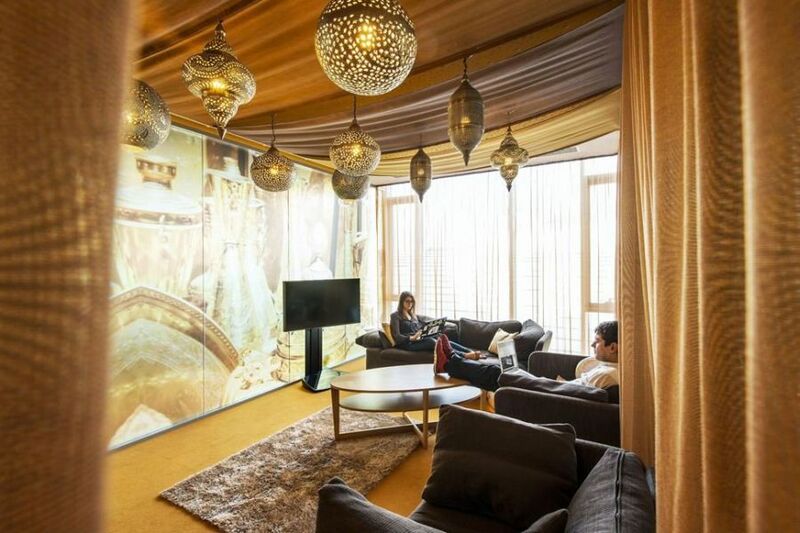 From the gorgeous conference rooms to the interior pool, you can see a distinct touch of Google imagery pretty much everywhere. 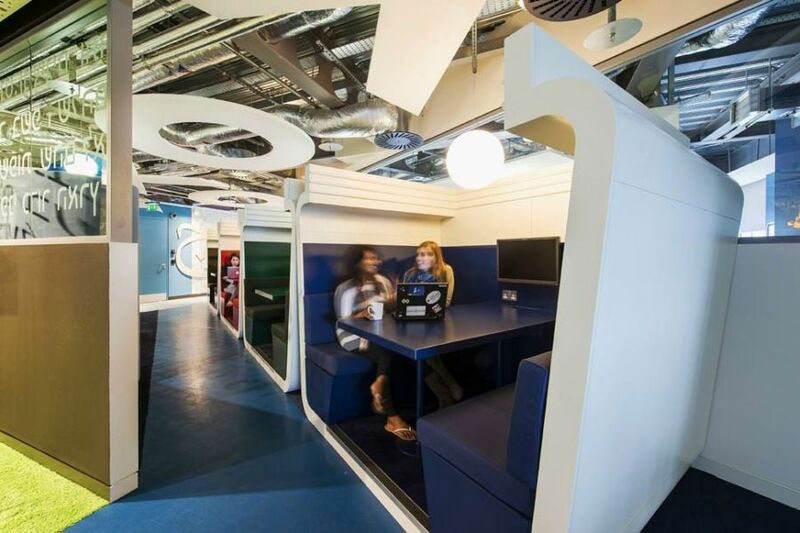 Coupled with this is iconography that pays homage to Irish culture, tradition and those mythical tales emanating from the region. 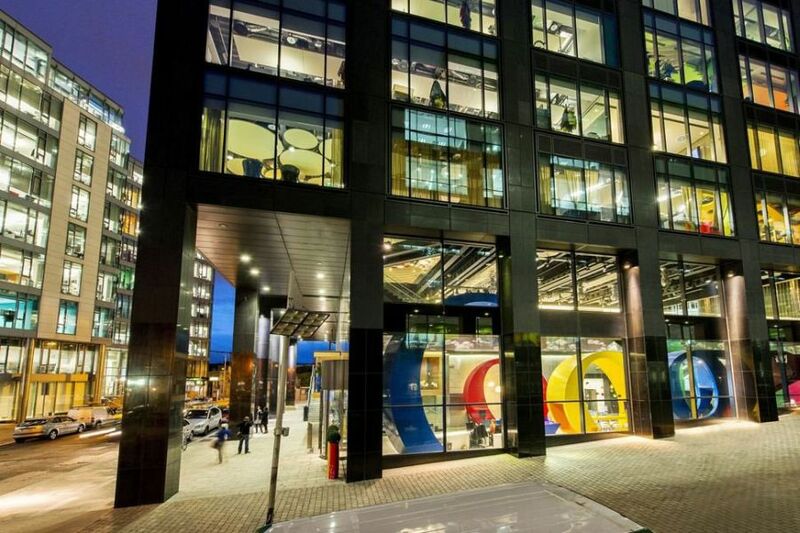 A lovely bridge between three of the buildings is set to be designed by HLW with Reddy Architecture in order to create easy access for the in-house Googlers. 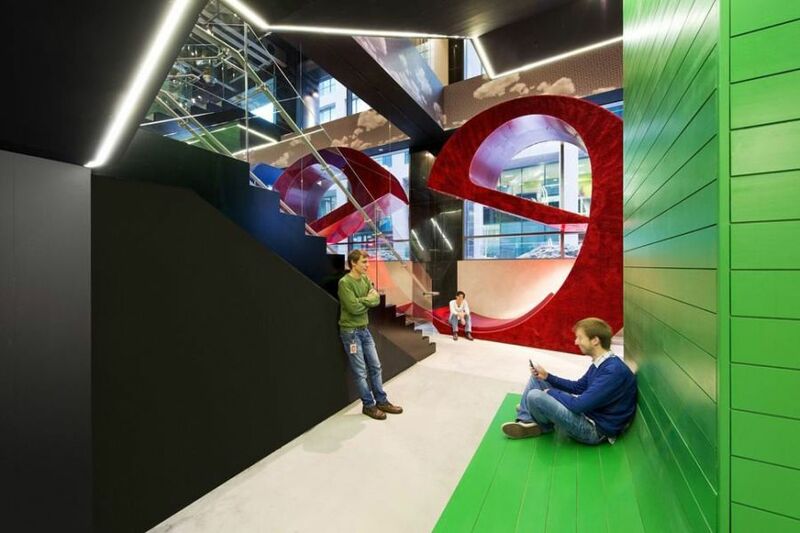 Various materials, colors and shapes have been used in each floor of the building to create distinct themes like Search, Create, Be Green, @Home, Organize and Innovate. 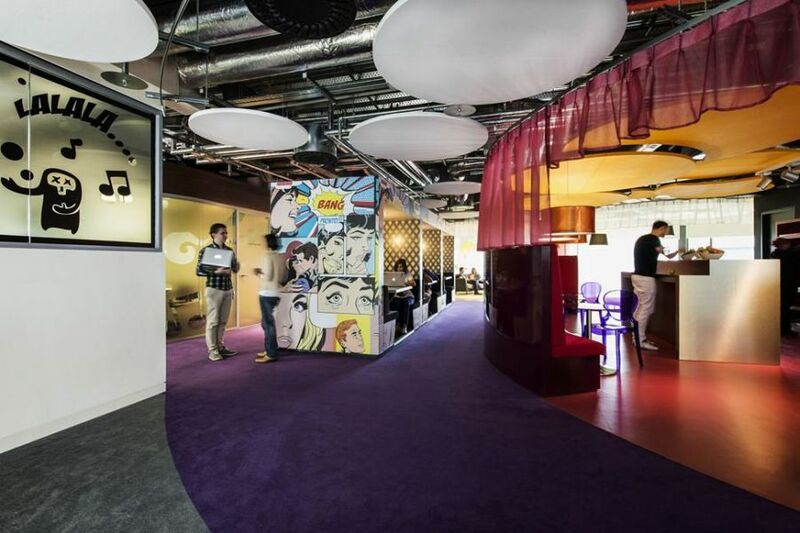 Images borrowed from something as simple as a natural canopy to those jumping out of a colorful comic book; pretty much everything graces this fantastic Google Campus. 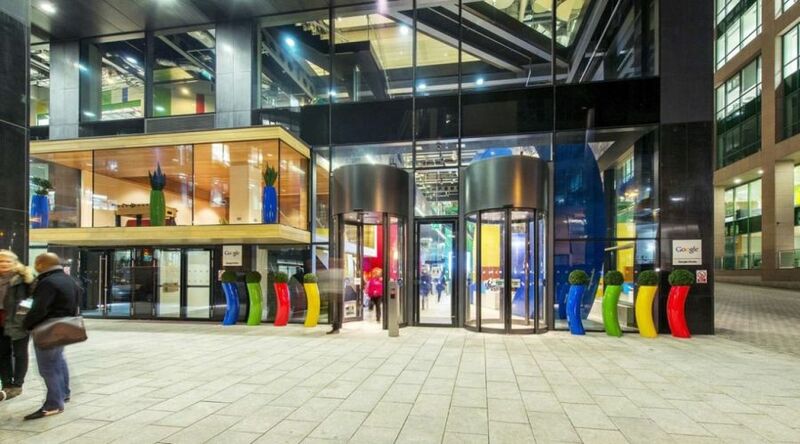 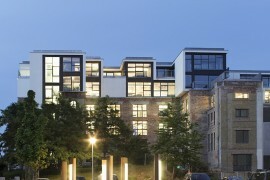 An absolute diverse visual treat, it seems to make many of our on offices look pale and absolutely pedestrian!